Our storms are done here (we hope). It seems like during the time we holed up and watched the wind change the landscape, we also acquired a host of new products and long unavailable reprints. We have just added three of these books, each in a different phase of the publishing process. 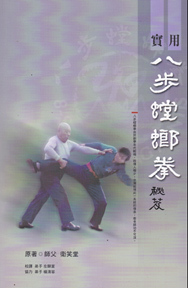 NEW: First is a new Xing Yi text by Song Zhi Yong and Tom Bisio. A solid offering with multiple breakdown photos and a layered text. 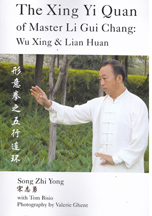 Also some pages devoted to a deeper understanding of those two crucial XY forms, 5 Elements and Linked Fist. REISSUED, is the popular Eight Step Praying Mantis Boxing book. This new edition is almost FOUR TIMES as large as the original book, covering applications, forms, theory, family and more. A huge re-structuring with good photos and some clear instructions on forms. In Chinese. RESTOCKED: En face edition (in English and Chinese). This book on the Tiger Swallow Praying Mantis form by Gao Tao Sheng was certainly one of the most popular Lion Books we carried before it was pulled. Now, after years, it is back. Big photos, clear text, English. Posted January 16, 2017 by Plum Staff. Comments and trackbacks are open. Follow the comments feed. 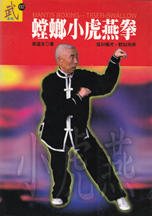 Tagged with: 5 Element Boxing, Eight Step, Eight Step Praying Mantis, Five Element Boxing, Gao Tao Sheng, hsing yi, Li Gui Chang, Praying Mantis, praying mantis kung fu books, Tang Lang, Tiger Swallow, Tom Bisio, Wei Xiao Tang, Wu Xing Boxing, xingyiquan, xingyiquan books.